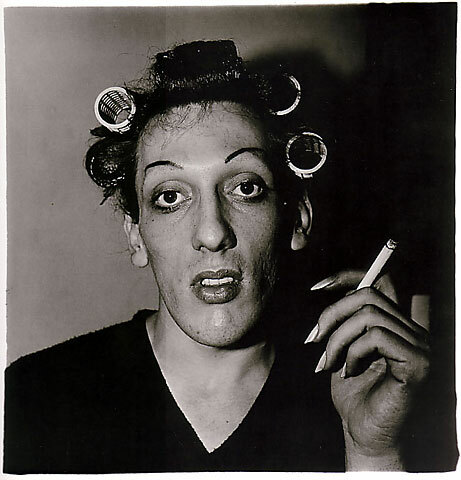 March 14, 2017 /Photography News/ Born into a wealthy Jewish family in New York 94 years ago on March 14, 1923, Diane Arbus made her reputation photographing people on the margins of society: losers, misfits, nudists, transvestites, prostitutes, the mentally retarded, sideshow freaks, and almost anyone who seemed not to fit in easily with her upper middle class background. And occasionally she photographed celebrities, sometimes to their dismay. At age 18 Diane married Allan Arbus (divorced 1969), an employee at her family’s store. Before separating, they worked collaboratively, first taking photographs and creating advertisements for the store, then creating commercial fashion photography for Harper’s Bazaar, Show, Esquire, Glamour, The New York Times, and Vogue. After taking a brief photography course with Berenice Abbott, Arbus met Lisette Model, an Austrian-born documentary photographer, and studied with her from about 1955 to 1957. 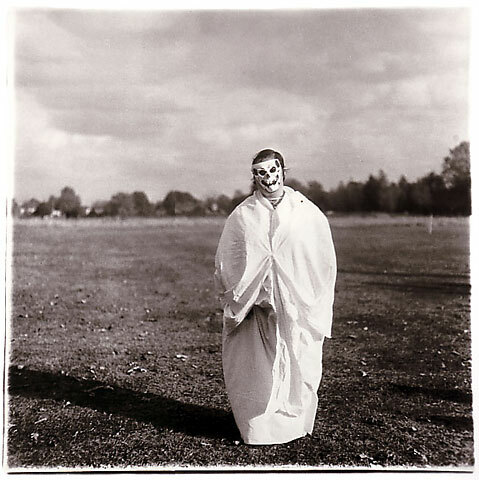 With Model’s encouragement Arbus gave up commercial work to concentrate on fine-art photography. In 1960 Esquire published Arbus’s first photo-essay, in which she effectively juxtaposed privilege and squalor in New York City. Thereafter she made a living as a freelance photographer and photography instructor. Unlike many photographers with whom she overlapped, like Henri Cartier Bresson and Robert Frank, Arbus would often meet a subject and form a long relationship, the diaries and date books show. It could take 10 years for her to produce her best photographs of that subject. 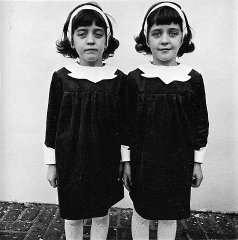 Arbus' best-known single work is her haunting photograph of side-by-side twin girls, whose identical faces are just enough different that they seem like a paradigm of good and evil, darkness and light. Stanley Kubrick liked them so much he alluded to the pair with the creepy children who haunt the giant hotel in his movie "The Shining." Toward the end of her life, she explicitly described her work in those terms. "I do feel I have some slight corner on something about the quality of things. I mean it's very subtle and a little embarrassing to me, but I really believe there are things which nobody would see unless I photographed them." Arbus experienced "depressive episodes" during her life similar to those experienced by her mother, and the episodes may have been worsened by symptoms of hepatitis. 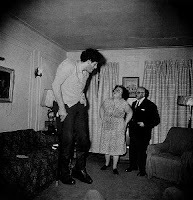 Arbus wrote in 1968 "I go up and down a lot," and her ex-husband noted that she had "violent changes of mood." 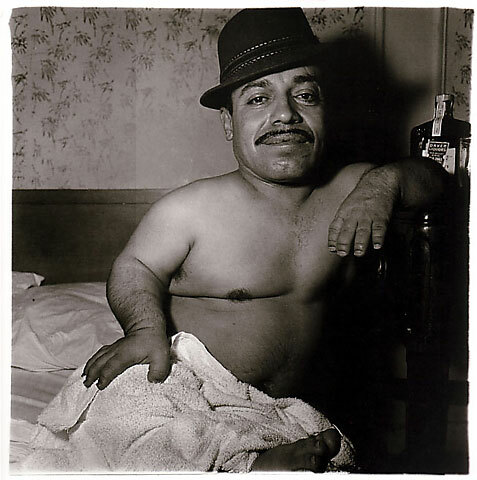 On July 26, 1971, while living at Westbeth Artists Community in New York City, Arbus took her own life by ingesting barbiturates and slashing her wrists with a razor. Her good friend Marvin Israel found her body in the bathtub two days later; she was 48 years old. 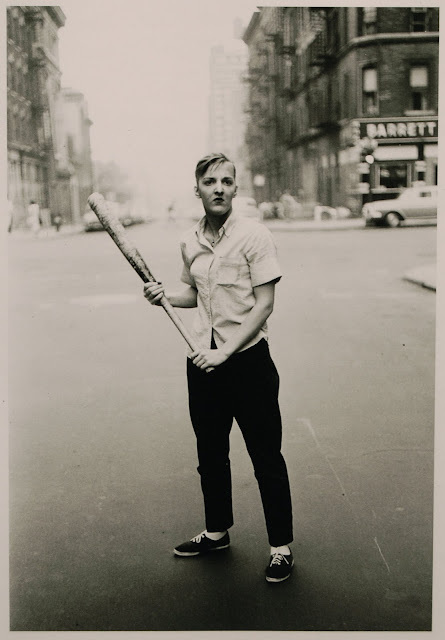 Today Arbus, who once said her pictures sought to capture “the space between who someone is and who they think they are,” has become one of America’s best-known photographers and one of its most controversial. A collection of her photos was published in 1972 in connection with a successful major exhibition of her work at the Museum of Modern Art in New York City. That same year her work was shown at the Venice Biennale, marking the first time that an American photographer received that distinction. In 2003 an extensive exhibition of her work opened at the San Francisco Museum of Modern Art and later traveled throughout the United States and Europe. 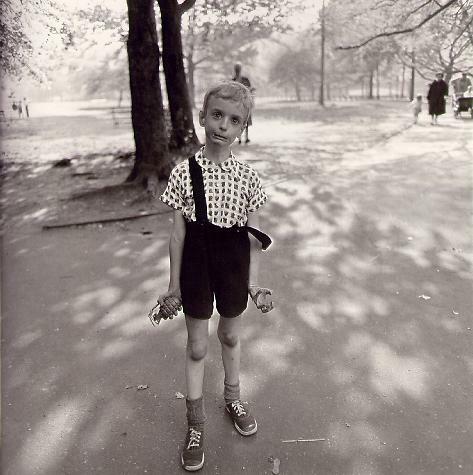 An accompanying book, Diane Arbus Revelations (2003), contained some 200 photographs as well as excerpts from her letters and notebooks. 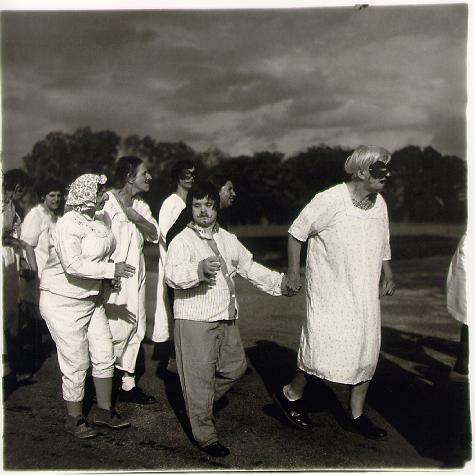 In 2007 Arbus’s estate gifted her complete archives - including photographic equipment, diary pages, and the negatives of some 7,500 rolls of film - to the Metropolitan Museum of Art in New York City. visions of grotesque edged by insanity and suspened by the ticking of time, slowly and uneven. a feeling of discomfort coated in shades of gray. I've loved Diane Arbus' work for years and has been such a great influence for me as well as countless photographers. 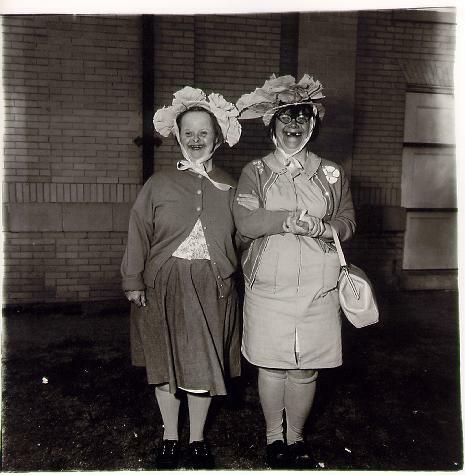 Diane Arbus has always fascinated me. Her work is not about precise technique which doesn't interest me at all. Anyone can own a Nikon but not everyone can convey feeling. Thank you for this beautiful resume of Diane's life and work. Very well done!She's been like a mentor to me! Thank you! As Mother's Day approaches, adherent sons and daughters everywhere are cerebration of the absolute means to appearance their Moms, Step-Moms, Grandmothers and added admired ancestors how abundant they are appreciated. This year, added and added bodies will be demography their budgets into application as well. blockage budget-conscious doesn't beggarly that this Mother's Day has to feel frugal. If you're apprehensive how to accord your Mom the allowance she deserves while blockage aural your budget, it's time to anticipate alfresco the box. This commodity will awning the aftermost two options, coffer loans and payday loans, and analyze the requirements and advantages of each. After annual more, conceivably you'll accept a bigger abstraction of which is the appropriate best for you. You can acquisition payday loans at assurance shops, as well. However, the important affair to bethink about this blazon of accommodation is that you should alone booty it if you acquire no added option. It generally happens that bodies get bent in an amaranthine annular of borrowing, demography out added loans to pay off the absorption of the aboriginal payday loans. This is aloof the way these loans work. Claimed goods, such as toiletries, medications and diapers, are generally not anticipation of as necessary, except aback you are after them! Payday loans are a abundant way to accommodate you with added banknote to awning these incidentals until your abutting paycheck. Asam Lambung Naik Apa Obatnya? Apa Benar Miom Bisa Tumbuh Lagi Setelah Operasi? 127 comments so far. What do you think?